What caused Russian flight 7K9268 to crash? Per the Zetas, this was clearly another EMP induced failure, electro-magnetic zap caused by the African Roll which is pulling the Sinai Peninsula apart from land on either side. This was long predicted by the Zetas for the African Roll, part of the 7 of 10 plate movement predictions. ZetaTalk Prediction 1/1/2011: The Straits of Gibraltar will widen by 125 miles, as Africa drops, and Morocco will move 50 miles further east. Where the Sinai Peninsula is considered part of the African Plate, the Red Sea is clearly ripping open. Thus both the Red Sea at the Gulf of Suez and the Gulf of Aqaba tearing up into Jordan will rip open, leaving the Sinai Peninsula positioned like an island with few direct attachments. The Zetas have consistently warned to avoid flights over areas experiencing either rock compression or stretch, particularly where associated with water. 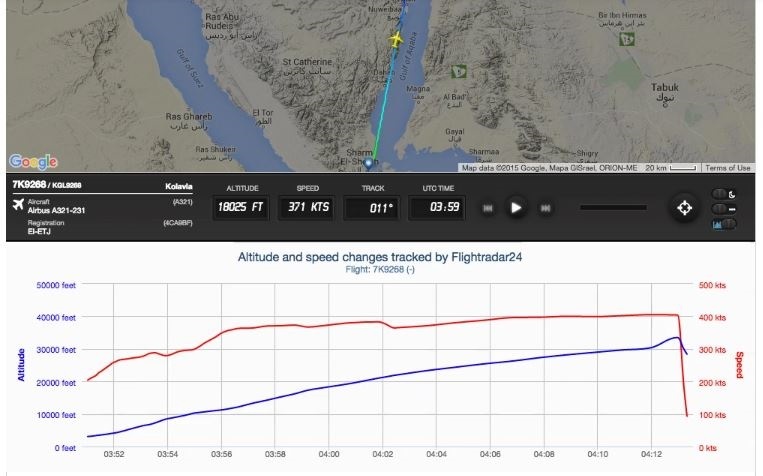 7K9268 was flying up along the Sinai over water, developed problems, then already limping and damaged turned to fly over the Sinai directly where it exploded mid-air. Per the Zetas, the explosion was due to fuel pump issues, caused by EMP. The Airbus A321-200 took off from the Egyptian seaside resort of Sharm El-Sheikh at 5:51am local time (3:51 UTC), in the direction of St.Petersburg. Some 22 minutes later, air control, according to local officials, lost contact with the jet, which by then had climbed to 9,450 meters (31,000 feet ). Flight tracking websites then reported a rapid, almost vertical, descent. The manufacturer Airbus says the plane hit the ground about three minutes later, killing every single person on-board. There was no distress call. Egyptian authorities say the aircraft passed the pre-flight check without incidents. The Airbus itself was 18 years old – not a particularly grand age by aircraft standards – and had been leased from Aercap, the world’s biggest plane leasing company. It had only suffered one minor incident in 2001. The crew itself was very experienced, with pilot Valeriy Nemtsov clocking up over 12,000 hours of flight time prior to the accident. The flight recorders have now been taken to Cairo, with Egyptian officials set to lead the investigation, with the aid of Russian specialists. A team of outside experts has been dispatched. Russian media outlets said that the pilot reported technical problems and requested a landing at the nearest airport before the plane went missing. Air traffic control recordings don't show any distress calls. There was nothing abnormal before the plane crash. It suddenly disappeared from the radar. The Sinai Peninsula, where Flight 9268 crashed, is home to ISIS-affiliated militants who are locked in a deadly conflict with Egyptian security forces. They appeared to claim responsibility for bringing down the Russian passenger jet. The Egyptian military said militants in Sinai have shoulder-fired anti-aircraft weapons that only shoot as high as 14,000 feet, far short of the more than 30,000 feet at which Flight 9268 was flying when it dropped off radar. Many of the victims of the crash were found with their seatbelts on, suggesting the pilot had asked them to buckle up because of a problem with the aircraft. ZetaTalk Conclusion 11/1/2015: The report of technical problems is correct, though not due to mechanical negligence in the airline. This was not a bomb, nor was it terrorism being shot out of the skies by ISIS affiliates. We have warned that air travel will be increasingly risky, and that flight over regions where the rock is under compression, especially where it is under water, enhances electro-magnetic pulse. The African roll is pulling the Sinai Peninsula apart from lands on either side, eventually a separation of 50 miles. 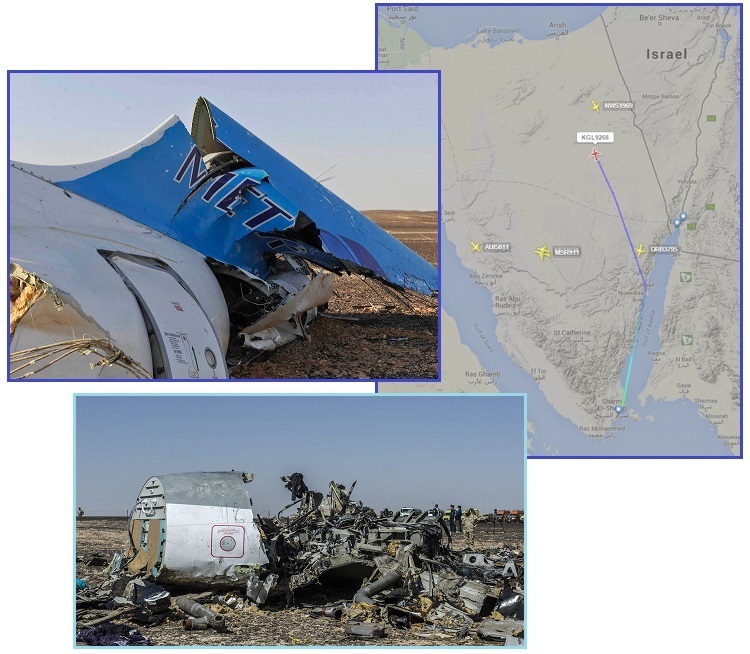 Flight 9268 was centered over the Sinai Peninsula when it went into distress, mechanical problems causing fuel pumping issues, thus the explosion. 7K9268 joins a long list of airliners crashing or missing due to EMP, though none have been officially ascribed to that cause. Air France 447 went down over the Mid-Atlantic rift on June 1, 2009, reporting a total electrical systems failure prior to hitting the water. Every single electrical system on the plane winked out, one by one, a situation that experts said could not be caused by lightning as airplanes have lightning protection. An airliner could be hit by lightning and experience no disturbance whatsoever, such are the protections. Yet Air France 447 was ultimately blamed on “pilot error” and “bad weather”. A succession of a dozen technical messages showed that several electrical systems had broken down, most ominously the pressurization system - a totally unprecedented situation in the plane. At 11:10 p.m., a cascade of horrific problems began. Automatic messages relayed by the jetliner indicate the autopilot had disengaged, suggesting Dubois and his two co-pilots were trying to thread their way through the dangerous clouds manually. A key computer system had switched to alternative power and controls needed to keep the plane stable had been damaged. An alarm sounded, indicating the deterioration of flight systems. At 11:13 p.m., more automatic messages reported the failure of systems to monitor air speed, altitude and direction. Control of the main flight computer and wing spoilers also failed. The last automatic message, at 11:14 p.m., indicated complete electrical failure and a massive loss of cabin pressure -- catastrophic events, indicating that the plane was breaking apart and plunging toward the ocean. ZetaTalk Explanation 6/3/2009: When failure happens on the ground, there is an outage. The lights go out, but nothing crashes to the ground. When a massive failure, however temporary, occurs in an airliner time catches up with those affected as the airliner is temporarily out of control, and in turbulent weather this can prove disastrous. Will such failure happen again? We have stressed, repeatedly, that man can expect problems with their satellites and electrical grids due to the charged tail of Planet X wafting increasingly in the direction of Earth. 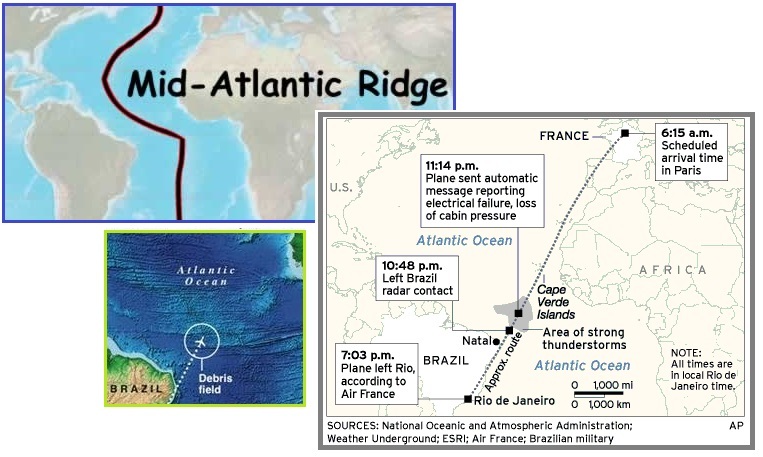 Air France 447 hit a tripple whammy, however, in that it was in a storm and over the Atlantic Rift, which as we have stated is a surface magnet, responsible for the twice-a-day global shudders that appear on the live seismographs. Malaysia Airline 370 disappeared on March 8, 2014 over the waters of the Sunda Plate. 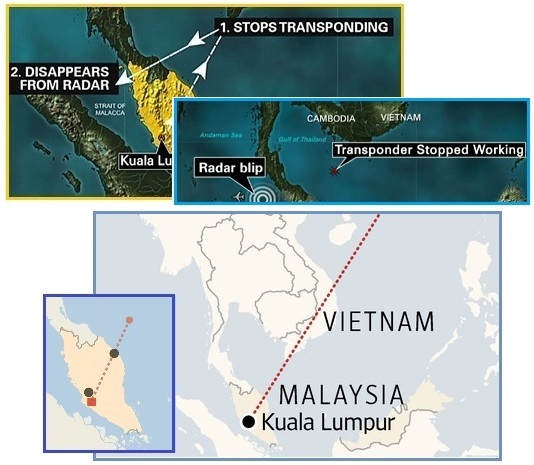 There were indications that the damaged airliner (pilots and crew long dead from oxygen deprivation) were headed westward toward an airport the fainting pilot knew would not be surrounded by high mountains and would be on land, not over water. 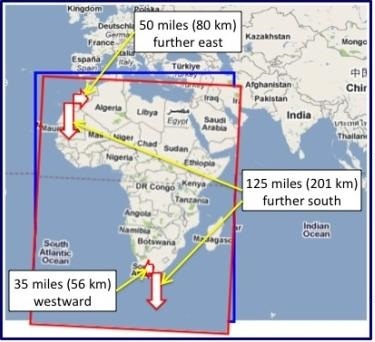 Then any surviving waypoints in any portion of any surviving auto-pilot computer on the airliner would have taken over, eventually sending the airliner out over the Indian Ocean, where it has never been found. The disappearance was blamed on the pilot, attempting suicide though no evidence of any instability in the pilot was ever at hand. The Malaysian royalty was part owner of the airline, and they did not want to be responsible. According to FlightAware, a flight-tracking website, the jet leveled off at 35,000 feet 19 minutes into its flight, and then appears to have stopped transmitting any data. The Boeing 777-200 wasn't transmitting data to the satellite, but sending out a signal to establish contact. Boeing offers a satellite service that can receive a stream of data during flight on how the aircraft is functioning. 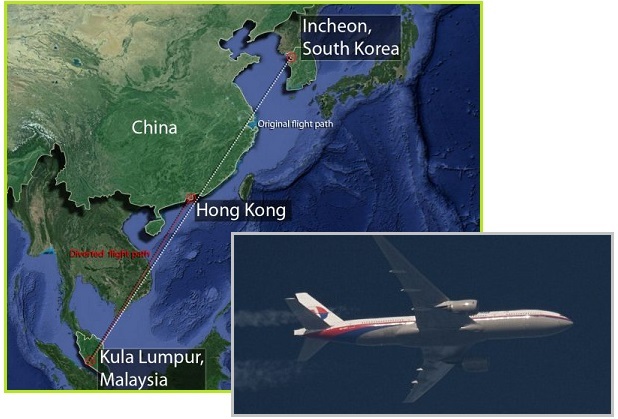 Malaysia Airlines didn't subscribe to that service, but the system was automatically pinging the satellite anyway. Some messages involving a different data service were received for a short time after the plane's transponder went silent. ZetaTalk Explanation 3/9/2014: What would cause MH370, a large, stable aircraft to suddenly disappear? In clear weather, with a very experienced pilot, flying a reliable aircraft with an almost unblemished safety record, yet the plane disappeared from radar. No evidence from satellite reports of meteor showers or fireballs entering the atmosphere. Mechanical failure would have provided enough time for a mayday signal. Ergo, something interfered with the electrical systems on board. Air travel will become increasingly risky, and mankind’s equipment that relies on electronic or magnetic guidance will increasingly malfunction. All this will increase as the hour of the Pole Shift approaches. 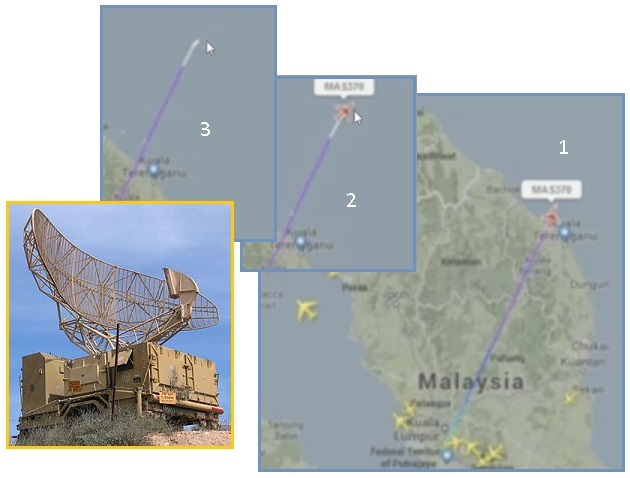 All Malaysia Airlines flights continued, over the same route, and notably MH 66 had similar electrical problems within days on March 24, 2014. The public was not warned, as only the profits for the airlines and the royal family of Malaysia seemed to matter. Luisa Barbaro was on board the diverted flight MH066. The 26-year-old was finishing a week-long holiday in Kuala Lumpur and was travelling to Seoul for a business trip when an onboard announcement said the plane was going to make an emergency landing in water. One of the engines sounded really weird. When they took off she heard a funny crackling noise and she heard it again a couple of other times. Passengers put their life jackets on and there was chaos on the plane. It was plunged into darkness – all of the lights went out. 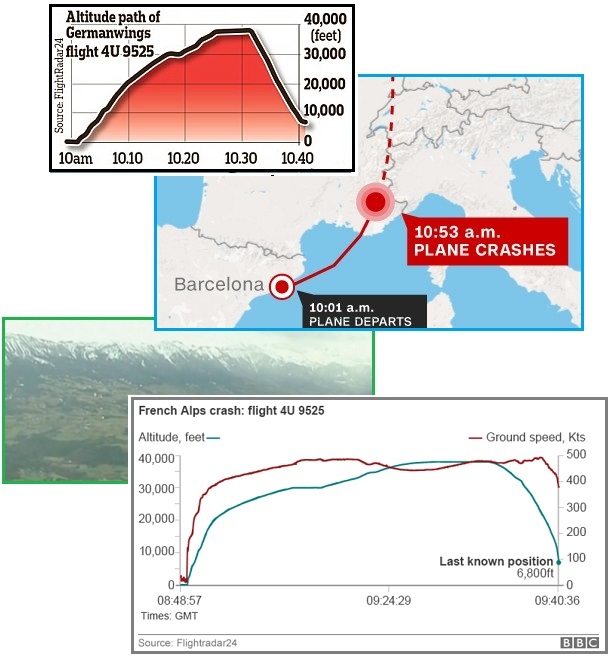 Notable among the airline disasters caused by electro-magnetic pulse (EMP) is the recent GermanWings A320 crash into the Alps on March 24, 2015. Once again, the handy excuse was to demonize the pilot, despite evidence that the plane had an electrical outage. Once again, the plane was smitten while over water and in a stretch zone, rock under tension. Once again, the public is misled and not warned for the sake of airline profits. ZetaTalk Analysis 3/28/2015: What is missing at present is the door access buzzer. Normal exit and entry are via an intercom identification after a single keypad button is pushed. In an emergency a code can be typed into the keypad. It is true that the cockpit can block entry by pressing the lock button continuously. But during all or any of this, a buzzer is loudly sounding. If scraping chairs and a shutting door and steady breathing can be heard, where is the buzzer? The press has made much of the co-pilot breathing “steadily”, proof that he is alive and the crash deliberate. Anyone conscious and seeing a crash into a mountain side looming will not be calm. This is an involuntary response. He would be screaming, and rapidly breathing. Oxygen deprivation first involves confusion and sleepiness, then becoming unconscious, so unless alerted that the oxygen level is dropping, the co-pilot was unaware this was happening to him. How often do carbon monoxide deaths occur where the family is taken unaware? The public will never learn the truth, as in all such cases electromagnetic interference is dismissed, the profits and jobs involved in the airline industry taking precedence of the truth. This will result in any case as the public gets leery of air travel, insurance costs rise, and airline companies go out of business. 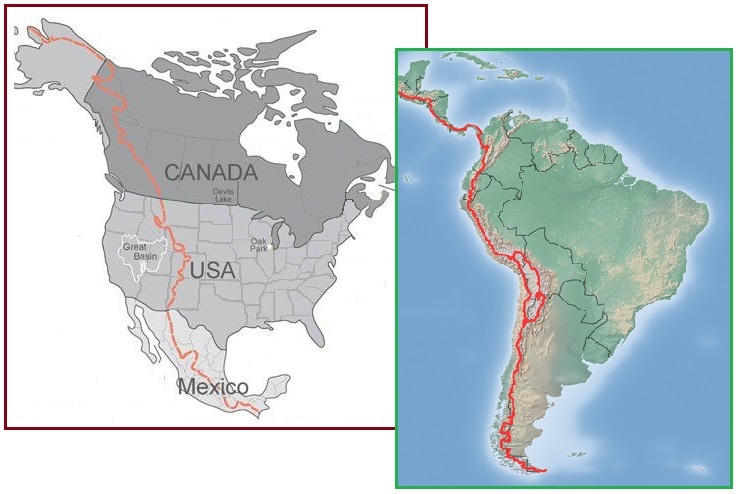 A simple glance at a relief map of North and South America shows where mountain building is occurring. 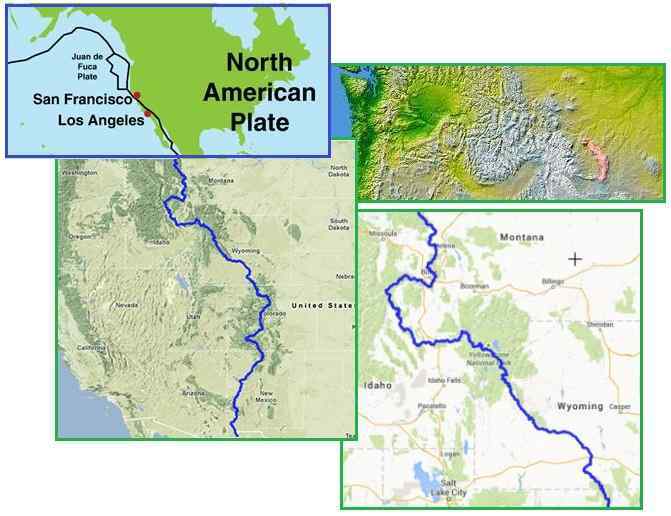 From the Andes in S American to the Rockies in N America, the peaks rise high every time the Pacific plates are shoved eastward and subduction occurs. But this does not result in the highest peaks along the beaches. Instead, the high peaks occur inland, close to the Continental Divide. The Zetas explain. ZetaTalk Explanation 2011: The Continental Divide exists in continents such as North and South America because of extreme subduction along their west coasts, with plates in the Pacific forced violently under the continental plates. Each such violent episode lifts the land plates higher, and creates additional rock strata beneath such land plates, thickening them and increasing their elevation. All this is elemental geography. We have explained that in those areas where subduction has repeatedly occurred, the land plates develop thickness so that active mountain building is less likely to occur, making these regions more stable than the Continental Divide. Thus, when subduction occurs, the thickened rock layers under the beaches are not rumpled or raised as much as places far inland where the rock layers have not been worn smooth by repeated assaults. Yes, the coastal elevation rises a bit, but the Rockies and Andes and lands east of the Continental Divide will experience the greater elevation increase, the greater tumult. The Zetas explain that for Safe Locations info, they stressed where action and turmoil are likely to occur, not that a particular inland mountain range might rise a few more feet. ZetaTalk Explanation 10/17/2015: In the Safe Locations information, we stressed what those trying to survive in their locale would have to worry about. We stressed what the surface of the ground would present – overflowing rivers, or high tides rolling in from the oceans, exploding volcanoes nearby, violent and repeated shaking from earthquake faults. Where rising and falling elevation was a factor, the resulting elevation was presented. This was the case in India and Western Australia, and in Central America where the S American Plate, on the move, will essentially roll over these countries. For survivors to find that their mountain home is now 1,000 higher in elevation after the Pole Shift is not considered a problem. Mountain building drives mountains higher during every Pole Shift because the subducting rock layer encounters new obstacles in its path and either pushes them forward, upward, or rides over them. Pushing lose ground forward has been mentioned repeatedly in our Safe Locations warnings for Colorado, Montana, and British Colombia - locales to the east of the Continental Divide. The ground rumples and tosses surface objects about, and then is discovered to have gained in elevation. If the obstacle to the subducting rock layer is pushed upward, then elevation at that point increases, and sometimes dramatically. If the subducting rock layer slides over the obstacle, this likewise raises the surface elevation. So as subduction along the Pacific occurs in North and South America, what can folks living to the East of the Continental Divide expect? One would think their location would be the last to experience an upheaval, perhaps during the hour of the Pole Shift itself, and only after the West Coast was alive with great quakes and volcanic eruptions. But surprise! In Montana, lands east of the Continental Divide got the knock on the door first! The Zetas explain. Over the weekend a number of reports came in about a crack in the earth showing up in the southern foothills of the Big Horn Mountains. Estimates by some put the area at 750 yards long by 50 yards wide. An engineer from Riverton, WY came out to shed a little light on this giant crack in the earth. Apparently, a wet spring lubricated across a cap rock. Then, a small spring on either side caused the bottom to slide out. He estimated 15 to 20 million yards of movement. With no earthquakes and a small amount of movement recorded by the USGS we will have to go with that explanation until someone comes up with another. 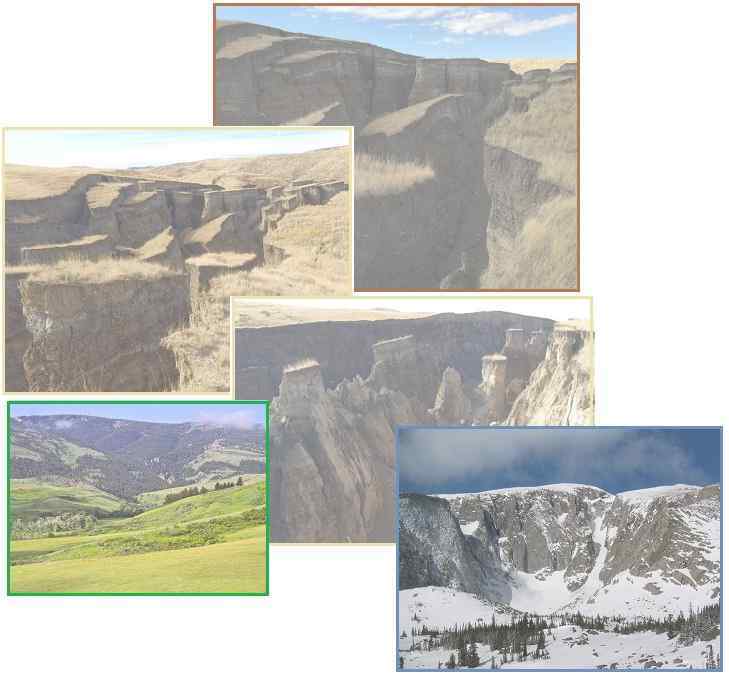 ZetaTalk Explanation 10/31/2015: The Bighorn Range in Montana and Wyoming represents mountain building in the past. Lying east of the Continental Divide, this land is being simultaneously raised by the press of subducting plates and pushed eastward. Such mountain building can be ongoing even without evidence of earthquakes or plate movement elsewhere, as plates many layers deep can shift to cause a reaction far inland. The Bighorn crevasses are a case in point. The Juan de Fuca is pushing under the N American Plate, and where the surface has not yet rumpled on the West Coast, deep layers can and do shift. The pressure is transferred to the point of least resistance, to the easternmost edge of the Continental Divide. Indeed, the Bighorn Mountains are just to the east of the Continental Divide! And as the Zetas predicted, rumpling of land is occurring! The Bighorn Mountains are a mountain range in northern Wyoming and southern Montana, forming a northwest-trending spur from the Rocky Mountains extending approximately 200 miles northward on the Great Plains. They are separated from the Absaroka Range, which lie on the main branch of the Rockies in western Wyoming, by the Bighorn Basin. The angle of subduction was shallow, resulting in a broad belt of mountains running down western North America. Since then, further tectonic activity and erosion by glaciers have sculpted the Rockies into dramatic peaks and valleys. ZetaTalk Comment 1/2/2011: Montana is stable ground but the Continental Divide will push to the east for some 50-60 miles during the pole shift. For northern Montana, this is flat land which will rumple so that the surface is pushed, as though by a bull-dozer in front of the moving mountain mass to the west, which will be relatively stable though go for a bumpy ride. Southern Montana will find land to the east of the Continental Divide rumpling, compressing, to that mountain ranges grow higher and valleys narrow.